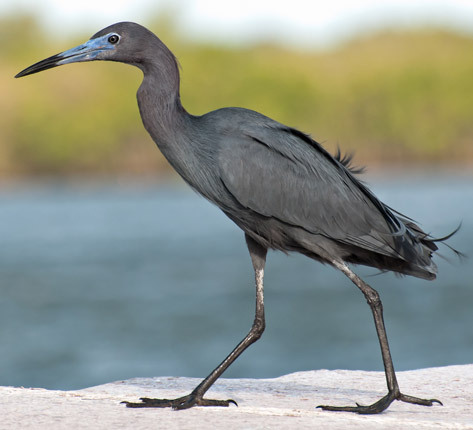 The Little Blue Heron may not have the same reputation as the Great Blue Heron (and don't ask him about it or he'll get p.o. 'd - "what makes him so GREAT anyway?") but this heron still yields the same glide capacity and ability to "ooh" and "ahh" a crowd of tourists.